Quick and dirty is good. Grammar without linguistics is just people telling you that the way they were raised is "the best." I have a twisted fascination with the link between linguistics and culture. In fact, anyone who has studied either would probably even say the word "link" there is a misnomer as they are essentially the same thing. Dealing with language's capacities (and limitations) on a daily basis and teaching second language speakers, it is impossible for me to not understand grammar better than most (though I freely admit: not as well as some). I'm not above mistakes, of course, and I don't know everything, but when the average person can't really define a clause and might go tarn if you use words like "coordinating conjunction," I tend to know a lot of that stuff--not just as a writer, but as a second language teacher. I have met a lot of people, even would-be writers, who don't think there's much more to writing than being a veritable encyclopedia of grammatical knowledge. These are the type to use "whence" rather than end a sentence in a preposition, no matter how strange it might sound or how much it will alienate a reader. For some reason, very, very few of them are published. Once upon a time--back in the before time; in the long long ago--I really fretted about my lack of formalized grammar knowledge, and it didn't help that when I wrote what "sounded" right, I was often breaking rules. Grammar wanks, like Bible thumpers, fashion police, sadists, and my alcoholic grandmother, simply loved pointing out my every error. It really affected my confidence about my own writing. 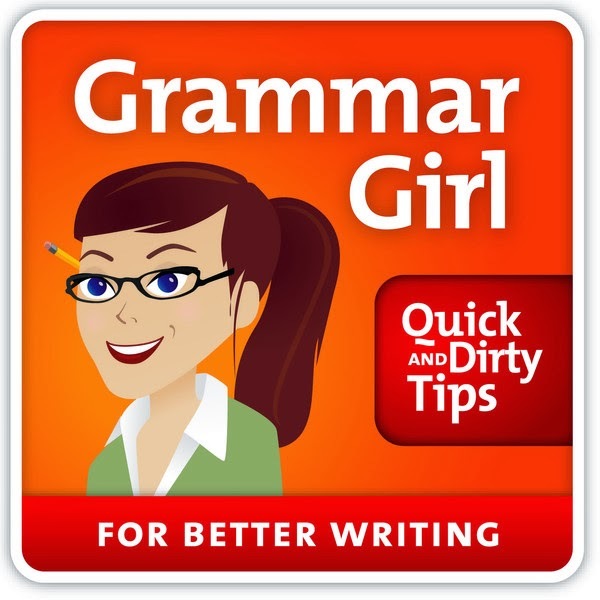 However, as I started teaching and tutoring, and a little later where I started reading as a writer, I developed a much different relationship to grammar. I also learned, much to my amusement, that many of chic "highbrow" grammar trends are usually actually incorrect or only partially correct in the most prescriptive sense. ("Bemused" is not a fancy word for amused.) Most are either anachronistic struggles against the linguistic drift of two generations ago (like vs. as) or new "trendy" annoyance at words that have been in use for centuries as their non-original meaning (decimate). Grammar is very important to a writer, but I also almost never fret about it these days. I've been reading for 35 years. I've been writing for almost 30. I might succumb to the occasional eggcorn, write the wrong your/you're before my coffee kicks in, or miss a comma, but I know how to write a damned sentence. Which isn't to say that you aren't always welcome to point out a problem, and I will probably even edit the post, and thank you. But if I'm "technically wrong" in a situation where being right sounds increasingly anachronistic in our modern era (like some of the constructions required to NOT end a sentence in a preposition, for example), I probably don't much care. You realize, of course, that I'm going to channel Geoffrey Rush for every future argument I may have about grammar. With anyone. Ever. This can only end...in AWESOME.